The video of a woman who was kissed by a random stranger in a coffee shop has gone viral. We learned that the woman was in a Muslim country and she was not wearing any covering on her head. According to netizens, she was also in a male coffee shop, which is something not sanctioned by Muslim laws. It would seem that the greatest violation the woman did was not to wear a "tarha" or head cover. 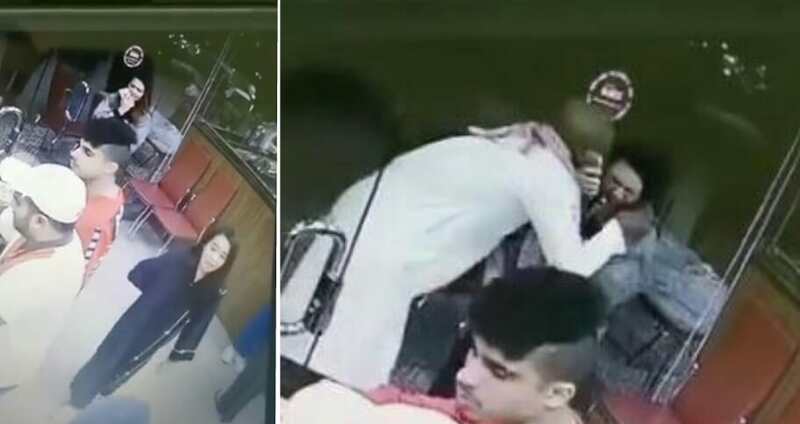 The fact that she was not covering her head must have prompted the Muslim guy to embrace her and plant a kiss. She squirmed and resisted and immediately went out of the coffee shop. Netizens were divided as to whose fault it was. There were those who blamed the girl for not following the laws, while there were those who hated the locals for not doing anything.